Develop an integrated and strategic Corporate Mission, Vision and Set of Values. Help you define your company’s corporate giving objectives, standards, and develop a framework around giving decisions. Develop an employee engagement program that is authentic, inspiring and will help you attract and retain the best talent. Explore cost-saving sustainability measures and a plan for moving forward. Develop an authentic and integrated community engagement framework, including identify and screen projects and organizations aligned with your company's values. Assist with placement of company representatives on nonprofit Boards of Directors. 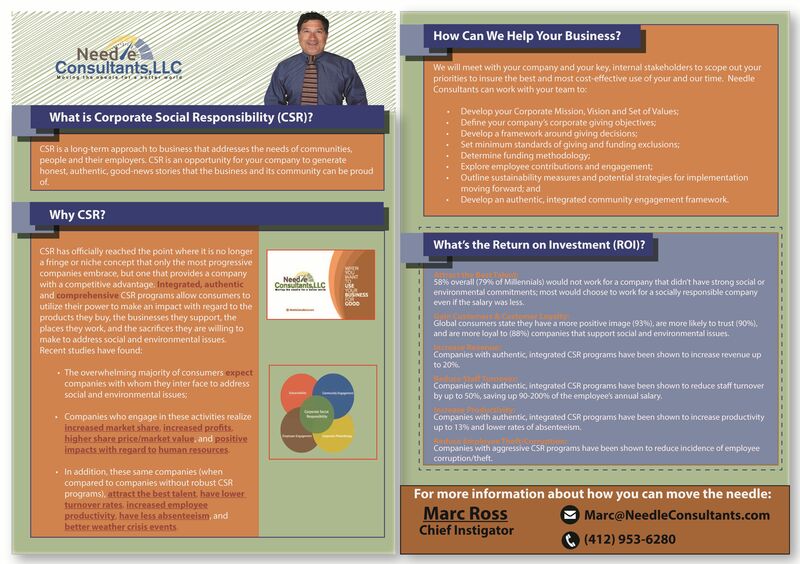 Scope, execute, and measure triple bottom line principals within your company that can be utilized to establish your company as a public benefit corporation or seek B-Corp certification.